In 2008, Yeshiva Toras Chaim partnered with local community members to meet the need for a full service beis medrash on Denver’s East Side. As a result of this vision, Merkaz Torah was founded as a Yeshiva affiliate, bringing an authentic yeshiva experience to the East Denver community. For more information about Yeshiva Toras Chaim, please visit their website at ytcdenver.org. 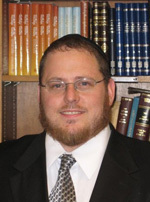 An alumnus of Beis Medrash Govoha – Lakewood, Mir Yeshiva, Yerushalayim, and a student of HaRav Chaim Epstein, Rabbi Chaim Sher is the Program Director of Merkaz Torah V’Chesed. Ever seeking innovative ways to spread Torah to those who thirst for it, Rabbi Sher is continually working on the next in a long line of Torah-teaching projects. His tenacity and indomitable spirit are the backbone of Merkaz Torah v’Chesed’s operations. It is Rabbi Sher’s dedication and drive that have made Merkaz such an amazing success, creating an entirely new and unique venue for learning for the East side Denver community. 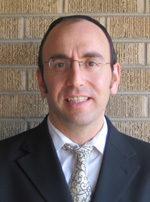 Born and bred in the East Side Denver community, Rabbi Aver Jacobs serves as Merkaz Torah v’Chesed’s Rabbinical Director. Having studied in Ner Yisroel, Baltimore and the Mir Yeshiva, Yerushalayim, Rabbi Jacobs returned to Denver to pursue his greatest passion – teaching Torah. He works side-by-side with Rabbi Sher in charting the course for Merkaz Torah V’Chesed and implementing their shared vision of a community Beis-Medrash on the East side of Denver. Rabbi Jacobs received S’micha from HaRav Moshe Halberstam zt”l, a member of the Jerusalem Orthodox Beis Din.